Its here again. 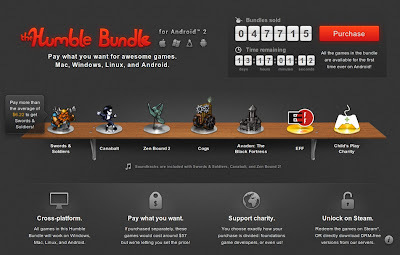 Humble Indie Bundle for Android #2 has been launched with 5 DRM free cross platform games (Android, Linux, Mac and Windows). The games are: Canabalt, Zen Bound 2, Cogs and Avadon: The Black Fortress. If you beat the the average price, pick up Swords & Soldiers as well. 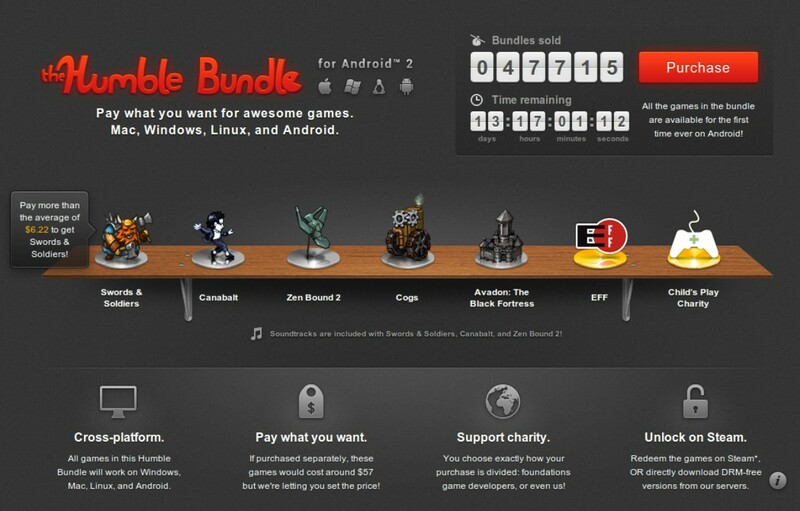 For more details and to get yourself one, see official Humble Bundle page.